In trying to crack down on the homeless and criminals, L.A.'s City Council is limiting the public's right to the boardwalk at certain hours. It amounts to a curfew, and it strikes us as overkill. For as long as the Venice boardwalk has been an archetypal mix of California quirkiness and balmy beach, it has been a challenge for police to patrol and for residents to coexist with. The scenic promenade that is populated by day with chain-saw jugglers and pamphleteers is occupied at night by a mix of longtime homeless, young transients and vendors or their surrogates saving choice selling spots for the next morning. Residents complain about noise, fights and the boardwalk being used as a bathroom. Although serious crime in the area went down 7% from 2010 to 2011, aggravated assaults were up 20%, according to Los Angeles Police Capt. Jon Peters. 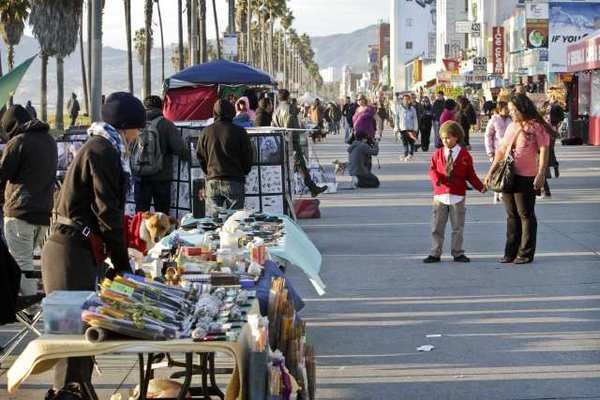 To alleviate the situation and to better regulate vendors, the Los Angeles City Council unanimously passed an ordinance in December that restricts what can be sold on the boardwalk and forbids reserving spaces overnight. 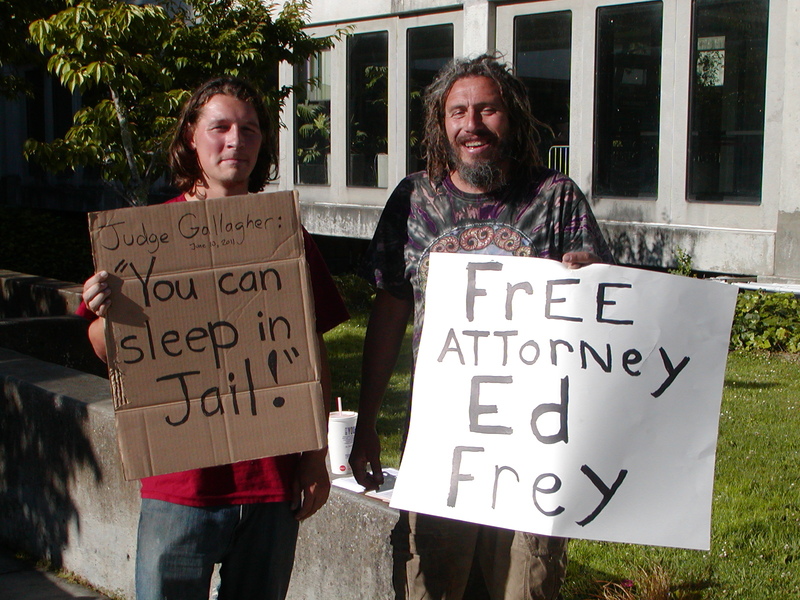 To enforce that, the council has invoked a ban in the Municipal Code on sleeping or camping overnight in parks. The city already considers all beaches it controls to be parks and closes them to the public between midnight and 5 a.m. Now officials say the boardwalk itself, Ocean Front Walk, is part of the Venice Beach park and can be closed to the public overnight as well. Not only will the homeless not be allowed to sleep there but people taking post-midnight strolls or walking their dogs will be banned. This amounts to a curfew, and it strikes us as overkill. It's troubling enough that the beaches are off-limits at night. But closing off a sidewalk entirely goes too far. Whether Ocean Front Walk is considered part of a park — and maybe it should not be — it fronts houses, apartment buildings and businesses. Employees and residents use it to access these structures. And although police say they will allow people to get to and from their homes, businesses and parking lots after hours, they will advise those walking on the boardwalk for their own pleasure to leave. Initially at least, the homeless will be offered assistance getting to shelters, according to police. 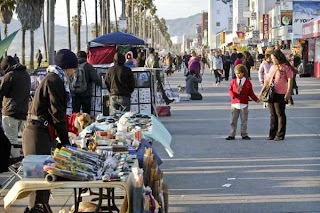 The dark expanses of Venice Beach and its boardwalk can be dangerous at times, and the police must maintain public safety. But the city should not ban people from walking on the boardwalk, no matter the time of day. A prohibition on loitering in the early morning would be smarter, allowing police to ensure a measure of law and order while allowing people to stroll as they please. My husband and I are homeless. Are there shelters in Venice for married couples?